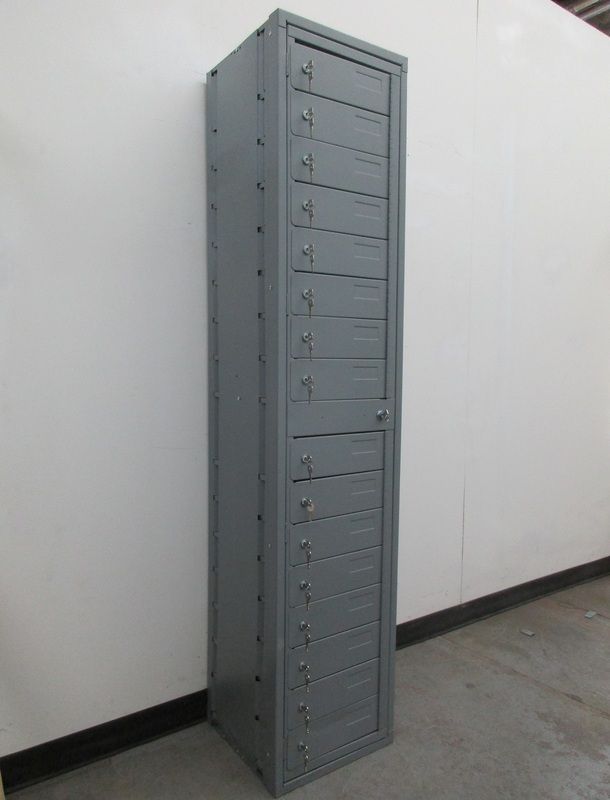 These Tablet Lockers are available on www.buyusedlockers.com where they have a huge selection to choose from if we need additional supplies. These 10 compartments tablet lockers are the perfect size for storing smaller items such as tablets, I-pads, cell phones, wallets, keys, etc. Each compartment measures 13" wide x 9" deep x 5" high. 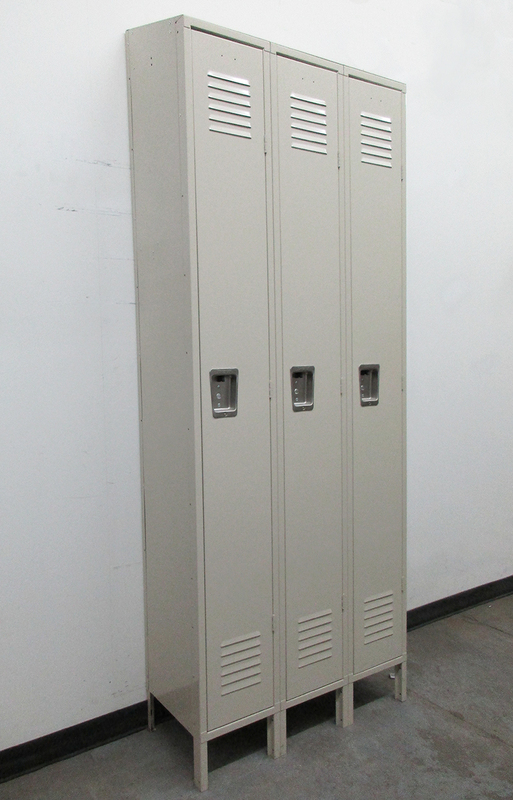 These particular units received some minor cosmetic damage during shipping, however the still operated like brand new lockers. 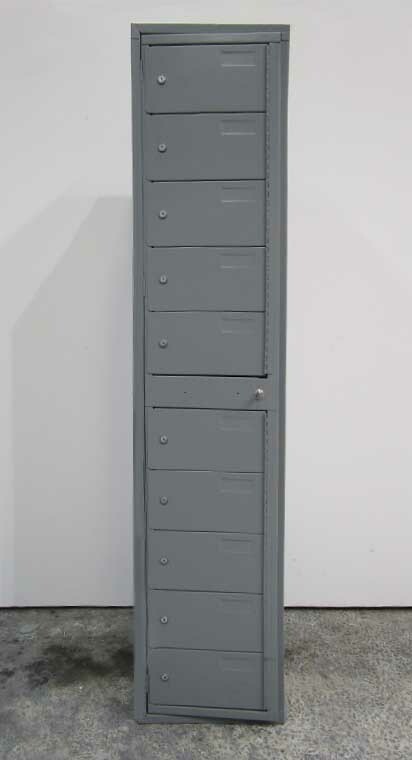 These are commonly used in classrooms, offices and breakrooms to safely store items while not is use. They can be locked with a common padlock or we can add a built in key or combination lock to these for you as well.